Want to Join the SA Country Fire Service ?? We have the most comprehensive recruiting information available on the internet on all South Australian fire stations. The first step to joining your local CFS Station starts here. To see previous news articles, view our news archive. 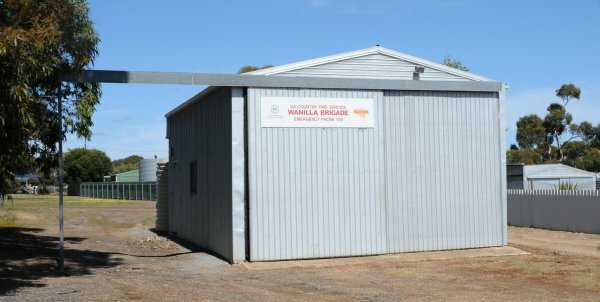 We've randomly chosen Wanilla CFS as our feature station for your visit to our site. Our links pages include 1202 links to Australian and and international emergency services related sites, including links to all 13 CFS Stations known to have their own Internet Sites. Who Is the CFS Promotions Unit ? The CFS Promotions Unit was formed in 1994 with a CFS mobile display unit known as the Pantech to promote the role of the CFS and the volunteers that make the CFS the great organisation that it is. 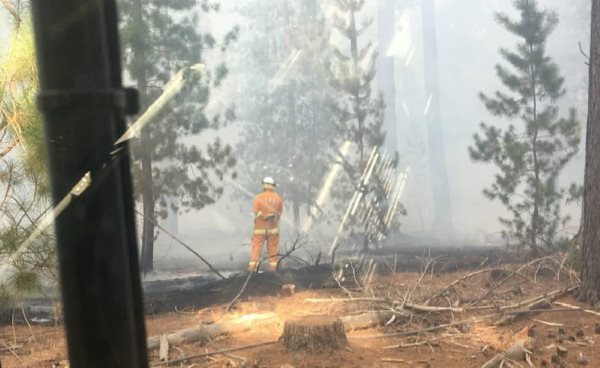 It was found that prior to the unit, most people were unaware that the CFS did more than just combat bushfires. The CFS Promotions Unit website started in 1996 as part of the Pantech display and was linked to an interactive map. In 1998, the website was launched on to the Internet, with a major overhaul of the website in 2001 and again in 2005. The Photographic section of the Unit took off with the advent of digital cameras and many images were made available on the Photo galleries on the site. The Pantech was retired after 10 years of service and the Unit continued to operate with other vehicles enabling the Unit to travel all over the State. In 2012, the website evolved to include a large History section to compliment the up to date information on each brigade, as well as expanding to cover many other South Australian Emergency Services. The website is a way for brigades to recruit and inform members, to assist the public in understanding something about the CFS - including their local brigade - and to promote the volunteering ethic. The Website Administrators - Pip & Ashley, who are both CFS volunteers, run the site, with input from CFS members and the public all over the State. The information on this website is updated regularly, through mailouts to brigades, and input via the website. Photographs are updated whenever possible, and while most of the photographs are taken by the Website Administrators on their travels across the state, it is often difficult for them to update those photos on a regular basis. The Website Administrators welcome suitable photographs from anyone. This is not the official site of the SA Country Fire Service or the Country Fire Service Volunteers Association. Their official sites can be accessed by clicking on the logos. This site is however operated with the full co-operation of the SA Country Fire Service (CFS) Headquarters and individual CFS stations. It also has the full endorsement and support of the Country Fire Service Volunteers Association (CFSVA). Further details on the funding and ownership of this site can be found in the legal section in the menu bar on the left of screen.